Want to burn rubber with your pre-event advertising? 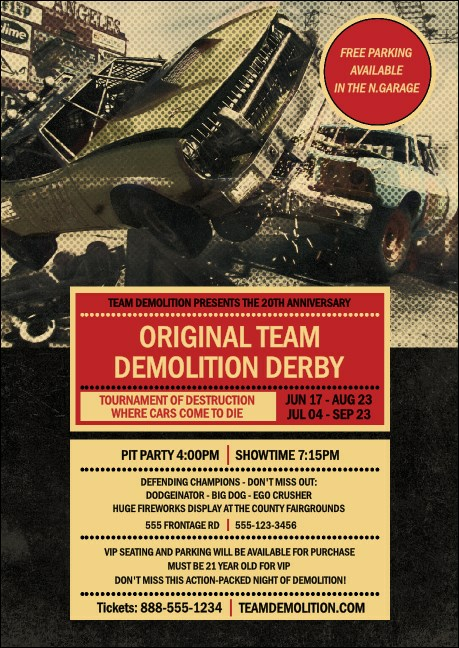 Print personalized Demolition Derby Postcards and send them out to your guest list in advance for a great turnout at your motorsport competition. Each Postcard gives you room to customize up to twenty-two lines of text with all your event details. Steer your event in the right direction at TicketPrinting.com.